2015 Season: With the big name free agents Hanley Ramirez and Pablo Sandoval signing with Boston before the 2015 season, many (myself included) thought that this team was a favorite to win the AL East. Instead, both of them were about as close to busts as you can get while the rotation and bullpen struggled as Boston limped for 75% of the season before turning things around and scorching the two months of the year. The late charge was for naught though as the Red Sox ended the season last in the AL east for the 3rd time in 4 years with a 78-84 record (the only other season being their 2013 championship year). While their last place standing is not ideal, the late charge by the Sox in August/September, led by their great core of young players, gave many fans in Beantown hope for 2016 and beyond. Key Additions: Dave Dombrowski, the former Detroit Tigers General manager, was hired by Boston late last season as Director of baseball Operations for the Red Sox, and in his first free agency period he made his presence known. 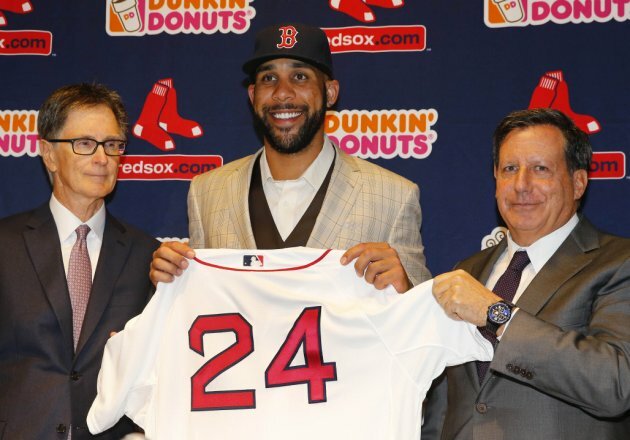 Dombrowski went out and grabbed David Price to a monster seven-year, $217 million deal to lead a rotation that was nothing short of awful in 2015. The lefty will be playing for his 4th team in the last 4 years (and his third Al East team in his career) and has thrived in every setting. The price tag may be high but the Sox could do no better than him as at the front of their rotation. After adding a big piece to improve the rotation, Boston next aimed to fix a bullpen that underwhelmed a season ago. Enter Craig Kimbrel. Kimbrel, one of the best closers in the game over the last 5 years, was acquired from the San Diego Padres for 4 prospects to shut the door in the 9th inning. While some have criticized the number and quality of the prospects traded away, Boston, with it’s very deep farm system and young major league starters, could afford to make the move. After those two big additions, Boston added some smaller piece to fill out their roster. They traded for the 26-year-old flame-throwing reliever Carson Smith from Seattle who projects to be an excellent set-up man for the aforementioned Kimbrel. I spoke a bit about Smith earlier in my Mariners preview, but for the talent that he has (2.31 ERA to go along with 92 strike outs in just 70 innings in 2015) and the potential to be a shut down reliever with 5 years of team control ahead, the Red Sox made out like bandits acquiring him for Wade Miley, an inning-eating lefty who is no better than a 3 or 4 starter. Lastly, Boston added outfield depth in the form of former Yankee Chris Young who will primarily play against lefties, and Roenis Elias for starting pitching depth. It was announced yesterday that he will begin the season in the minors. Key Losses: Boston was able to maintain a lot of its key players, especially its young core, in the offseason without having to include anyone in a trade. They did trade away Wade Miley for Carson Smith, but as I said before… great move for the Sox. Four prospects were dealt to the Padres for Kimbrel, the biggest name of the bunch being outfielder Manuel Margot who is in the upper half of both Baseball America and Baseball Prospectus’ midseason list. None of these players are above AA ball right now so the immediate impact of the trade should not be felt but giving up a player like Margot, plus 3 other quality prospects will not, not hurt a bit. Speaking of prospects, the Red Sox finally gave up on one as they let third baseman Garin Cecchini go. Once a highly touted prospect, he has has two miserable years at AA in the minors and had finally lost favor from the Red Sox’ front office. Lastly, they waved goodbye to starter Rich Hill, and relievers Alexi Ogando, Jean Machi, and Craig Breslow. Of all of the problems that plagued the Red Sox a year ago, the offense was not one of them as they scored the 4th most runs in the league. 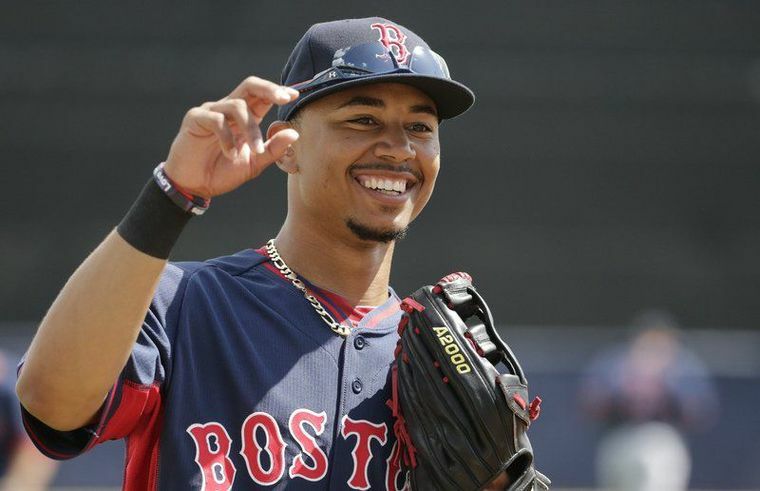 Emerging superstar Mookie Betts will look to take another step towards stardom this year as the 5-tool player checks off every box you could want from a young center fielder. Expect huge things from him this year, especially if the players around him can stay healthy and productive. And speaking of staying healthy, the captain of the Sox, Dustin Pedroia, only played in 93 games last year due to injury. The career .299 hitter is an important cog in the Red Sox offense and Manager John Farrell will hope that he can get production like Pedrioa’s from the two-hole all year. league. 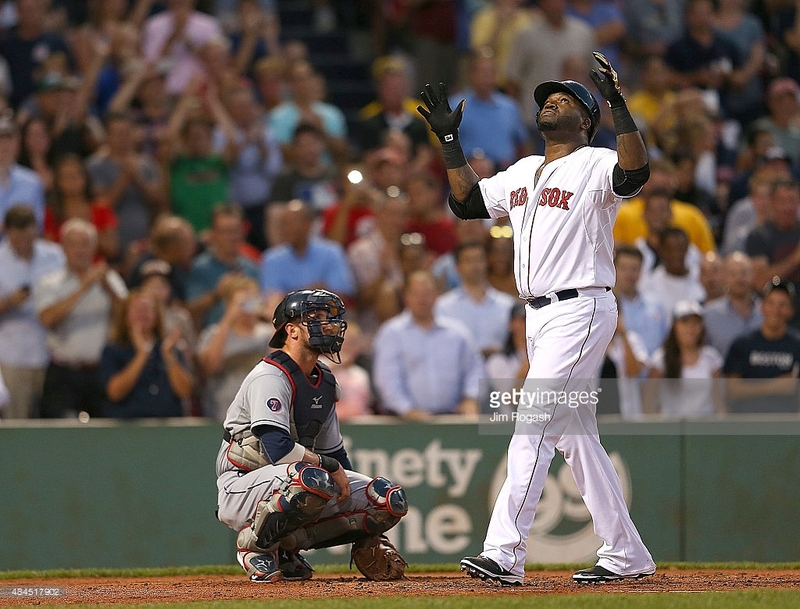 Entering his 20th season in the Bigs–his 14th with the Red Sox–Big Papi will try to continue defying Father Time. Like a fine wine, Ortiz has gotten better with age (maybe not physically, but certainly with his bat), improving on his home run numbers in each of the last 4 seasons. A player with a penchant for rising to the occasion, it will be interesting to see if Ortiz can continue to mash under the pressures of a farewell tour. Based on his history with the bright lights on him, I would not bet against him. Meanwhile, Hanley Ramirez and Pablo Sandoval have to improve from last year simply because there is not much worse they could be. Ramirez was essentially benched for the final month of the season after his transition to playing left field was about as successful as a crack head trying to perform open-heart surgery. He looked lost the entire year, racking up a negative-21 defensive runs saved in left. Unfortunately, with Ortiz owning the DH spot in the lineup, the Red Sox could not hide him anywhere else to get the most out of his bat, which also drastically under-performed. He will go about another position change in 2016, this time moving over to play first base. While reports out of spring training indicate that Hanley has looked good at first, based on his questionable work ethic and issues so far transitioning from one position to another, forgive me if I don’t hold my breath. Boston will hope that if he can become comfortable at first which should come with the added bonus of having less impact on his legs, that his bat will wake up and he will be the player who the Sox shelled out a 4-year,$88 million contract to. With news breaking today that Travis Shaw will be the starting third baseman for Opening Day, Pablo Sandoval in year two of his five year, $95 million contact, will begin the season coming off the bench. While this is a great treat for the 25-year-old Shaw who will play in his first Opening Day, this has to irk Sandoval who has not been a bench player since his rookie season back in 2008. So far he has maintained a good, team-first, attitude about this announcement, but Boston will not enjoy paying a bench player over $17.5 million NOT to play every day. With Sandoval’s stock so low and contract so high, there will not be many trade partners around the league for the Sox to dump him on. This will be a very interesting saga to watch unfold this year. The importance of David Price cannot be overstated for this Red Sox team. More than just his stats or his ability, the left-handed hurler will bring stability and consistency to a rotation that was nothing short of a mess a year ago. 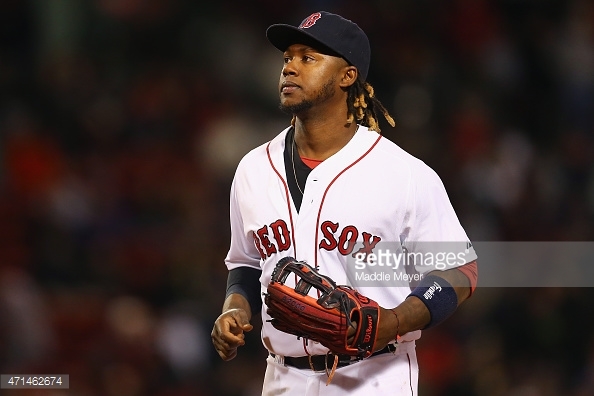 Outside of the lack of top-of-the-rotation-talent, the absence of a true #1 starter hurt the Red Sox in 2015. Pitchers like Buchholz and Porcello struggled in their attempt to be that guy, while the entire rotation failed to find a firm foothold in the rotation and settle into their spot. With Price now in the picture, it should allow everyone else down the line to have a confirmed role on the team which coaches and fans alike hope will lead to much better production from 2-5. Boston will be hoping for bounce back years from Buchholz (the Jekyll and Hyde of pitchers), Porcello (entering the second year of his 4 year, $82.5 million contract), and Joe Kelly, as all of them were a big reason why Boston’s starting rotation was the third worst in the American League. Knuckleballer Steven Wright will start off the year as the 5th starter as the highly touted 22-year-old Eduardo Rodriguez will begin the season on the DL after dislocating his knee cap. He likely will miss at least the first month of the season. Rodriguez impressed in his rookie debut last season, going 10-6 with a 3.85 ERA in 21 starts. He looks like a pitcher with legitimate top-of-the-rotation potential and Boston will hope that he progresses in his sophomore campaign. Waiting in the wings is the newly acquired Roenis Elias and blue chip prospect Henry Owens to step in if a spot in the rotation arises. Like the rotation, the Boston bullpen was equally as bad last year, finishing 12th in the AL in ERA. Closer Uehara, who had saved 72 games over the past three seasons, was limited to only 40 1/3 innings due to a season-ending right wrist fracture. He pitched well in his limited innings though and will be healthy to start the season. Uehara will be joined by the 26-year-old Carson Smith who was excellent in his rookie campaign, tossing a 2.31 ERA with 11.8 strikeouts per nine to go along with 13 saves. 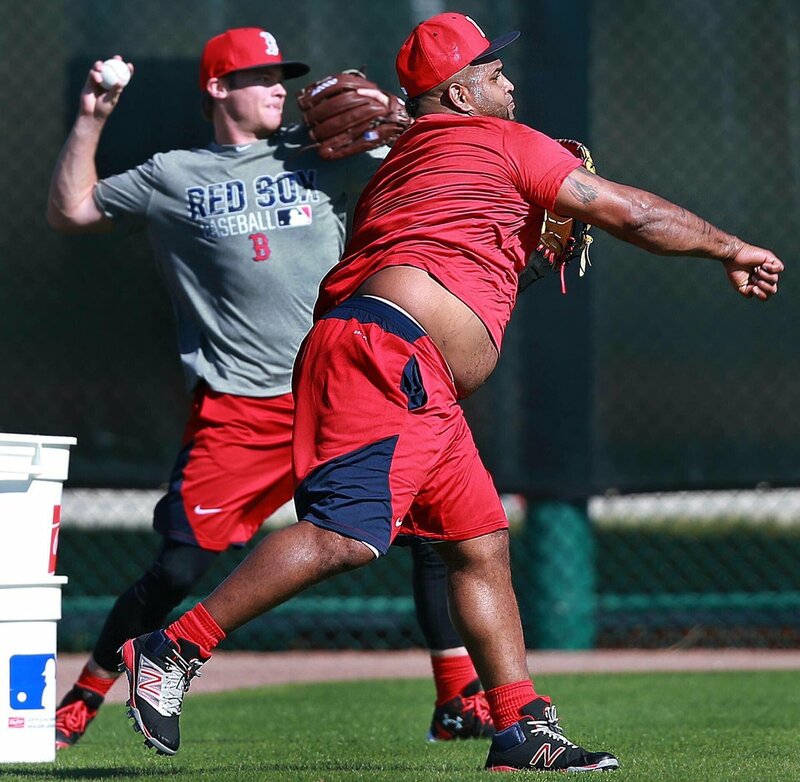 These two should be an excellent 1-2 punch to get the ball into Kimbrel’s hands. 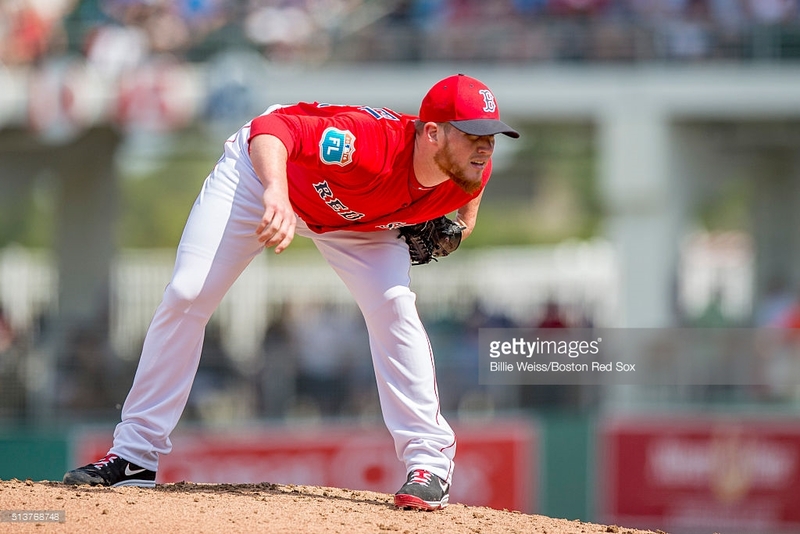 Like Price and the starting rotation, Kimbrel should provide stability to the Red Sox bullpen as the unquestioned closer. The 6 year veteran has a career 1.63 ERA and has saved 225 games, averaging over 40 saves a year. With the Red Sox much improved around him, it would be a shock if Kimbrel was not in the top three of saves in the American League this year. With the addition of Kimbrel and Carson to go along with a healthy Uehara and Tazawa, this bullpen should shoot back up towards the top of the league as one of the better bullpens in the AL. This is a really good Red Sox team that should compete for the AL East crown in 2016. The offense is very good, the defense is good, the bullpen is solid, and David Price is David Price, but for this team to live up to the high expectations it enters the season with, the rest of the starting rotation will have to step up. Price, for how talented he is, can only pitch once every 5 days. 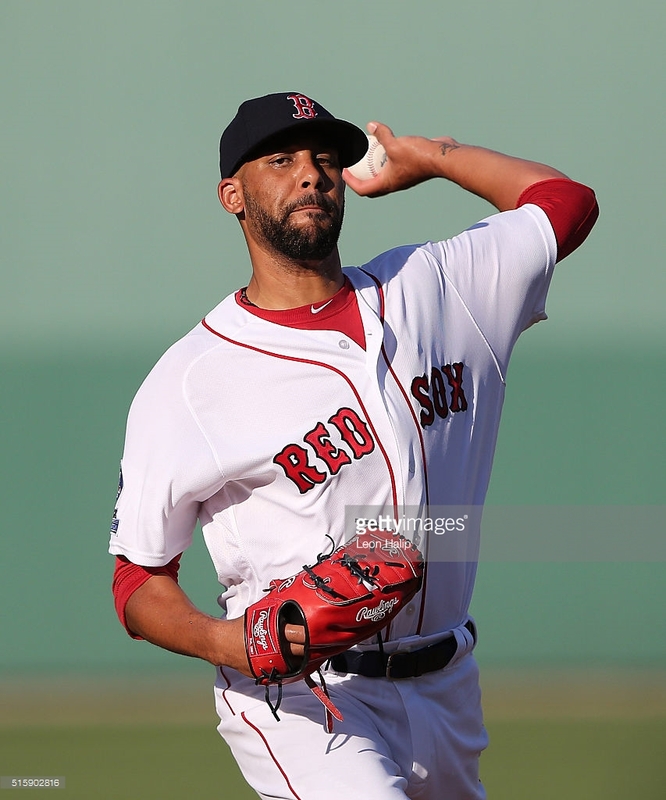 Buchholz, Porcello, Kelly, and Rodriguez will need to step up on the days that Price is sitting on the bench. If these 4 pitchers pitch to a 4.00+ ERA this year like they did in 2015, then Boston will struggle to make it out of a very tough AL East. If they can stay healthy and produce, even on an average clip, then the rest of the team should be able to bail them out more times than not, as a playoff berth becomes far more likely. HBT’s Prediction: The Red Sox will just miss the playoffs in 2016. Now before all you Sox fans start ranting and raving at me, let me explain. No, it is not because I happen to be a Yankee fan, and no it is not because I picked Boston last year to win the AL East and got BURNED by it. The truth is that I think the Red Sox are a loaded team, stacked with young talent, but are still one year (and one more offseason) away from truly becoming a dominant force in the American League. Questions surrounding the Red Sox starting pitchers, the busts that are Hanley and Pablo, and the competitiveness of their division, will all come into play as they miss out on the second Wild Card spot by a game, ending up with 86 wins, just behind the Yankees and Blue Jays. Though 2016 may not be their year, this team is primed to win another title over the next 5 seasons. However, Smith has a nasty slider, a pitch that may take a toll on his elbow as the righthander opens the season on the disabled list.